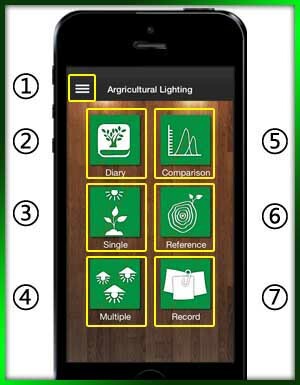 ' Horticultural App Manual - National Photonic Ltd.
◆ In the Record(s), user can share the measurement data to the receiver via social media integration function. 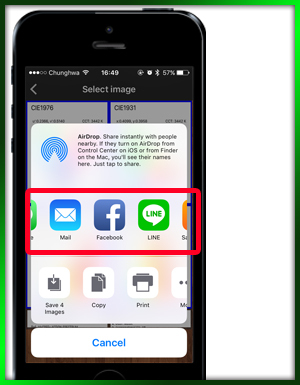 ◆ Tap “Email” to open the share list. ※ Please set-up your e-mail account first. 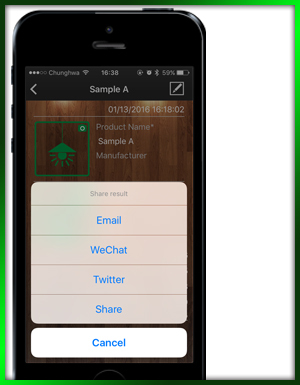 ◆ Choose “one” picture and Tap “Post to WeChat” button to share. ※ You can choose multiple pictures in Android version. 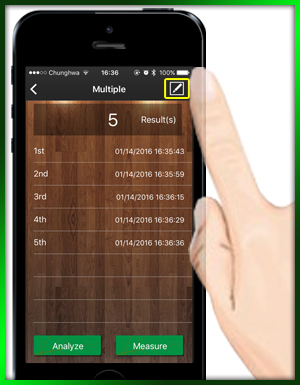 ◆ Choose “one” picture and Tap “Post to Twitter” button to share. 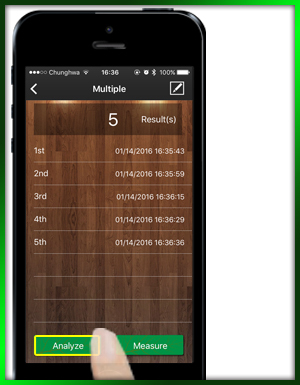 ◆ Choose “multiple” pictures and Tap “Share” button. ◆ You can purchase advanced function here. 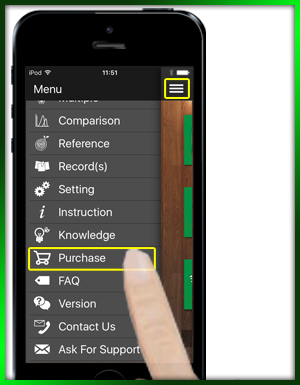 ◆ Tap the price button and the purchase button will appear. Tap again to process purchasing. 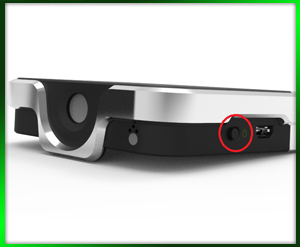 ◆ Power button is on the leftside of the dongle. 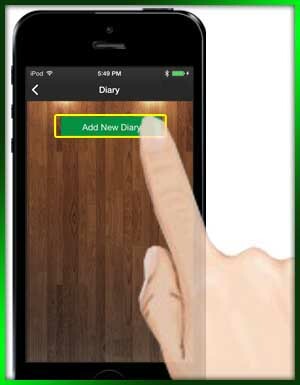 ① Side Menu: Settings, Introduction, Version and etc..
② Diary: Record the grow diary and check the change of the object. 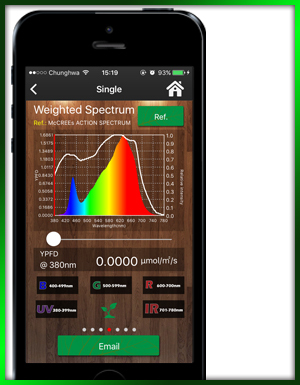 ③ Single: Quick get the information of single light source. 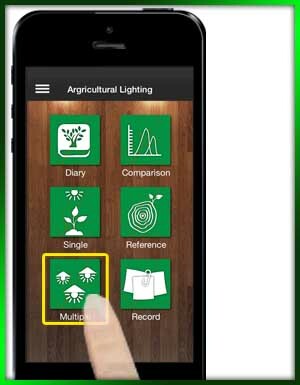 ④ Multiple: Analysis the information of multiple light sources. ⑤ Comparison: Make two "single" reports to compare. 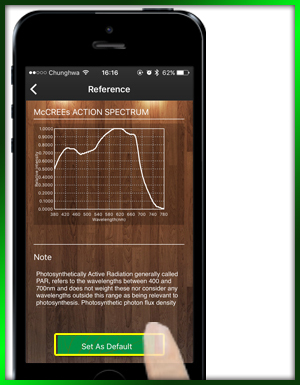 ⑥ Reference: Check the PAR action spectrum data, and set it as the default reference. 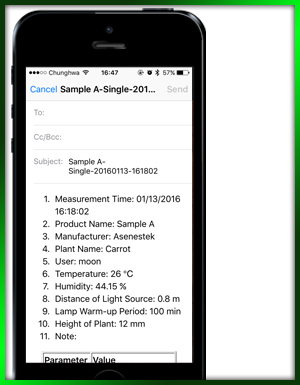 ⑦ Record(s): You can check the report of single and multiple here, and you can also email the measurement information to the addressee. 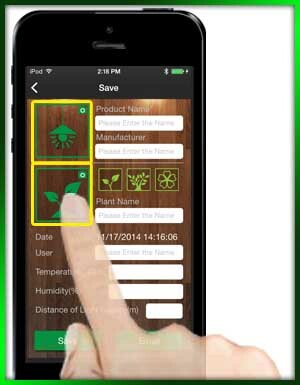 ◆ Turn on the Bluetooth of your device. 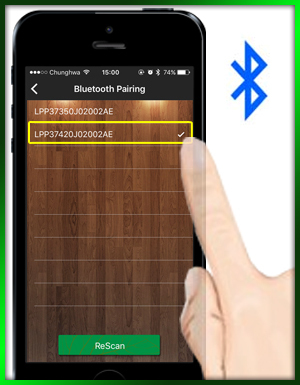 ◆ Tap “Bluetooth Pairing” of the settings and tap the dongle to connect it. ① Bluetooth Pairing：Connect or search Lighting Passport. 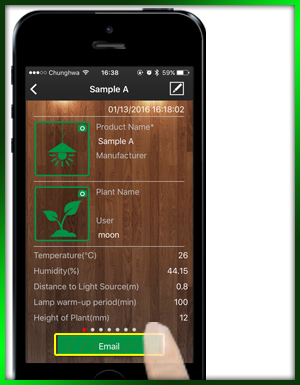 ② Default ID Setting：Change user (tester) and manufacturer (of the luminaire). ③ Capture Image Setting：Check if you want to save pictures for email to others. 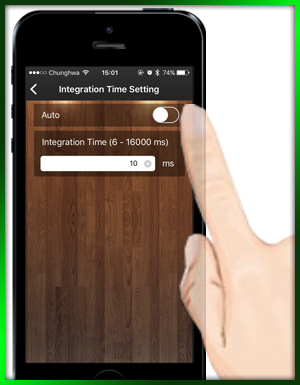 ④ Integration Time Setting：Change the mode for setting Integration Time. 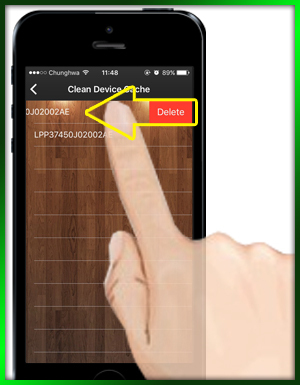 ⑦Clean Device Cache： Clear cache data. 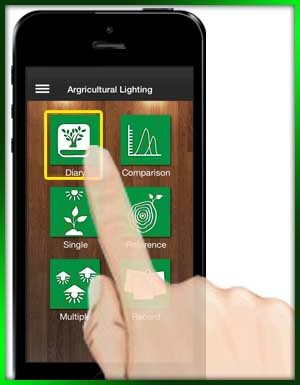 ◆ Make sure the bluetooth of your device has be turned on, then select your Lighting Passport. 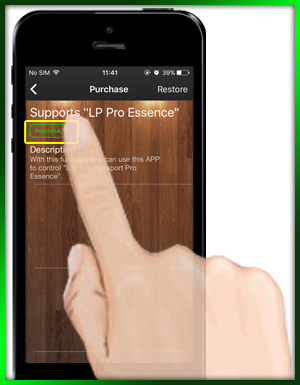 ◆ If the environment noise is too much, please tap "Rescan" and click the dongle to connect it. 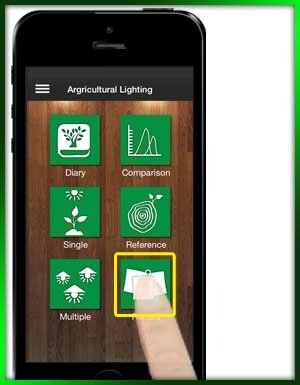 ◆ You can tap "Add" to set user (tester) and manufacturer(of the luminaire) in this page. Those settings will be the default options when you input the information in save page. ◆ Turn on/ off the picture display in Email. ◆ Select the picture size. 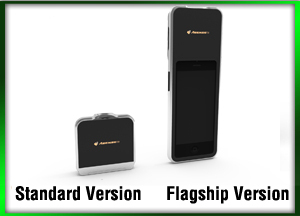 ◆ Auto：System will automatically adjust to the proper time of exposure. ◆ Manual：Adjust the time by user. Have to make sure you push the button “Confirm” after decided. ◆ You can turn on / off the function of automatically record temperature and humidity. 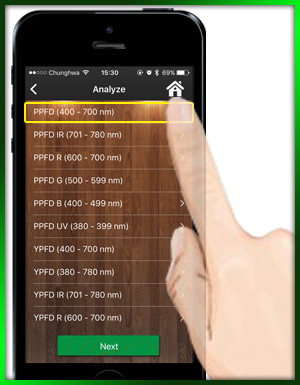 ◆ You can turn on / off precision mode in this page to enhance the measurement repeatability and accuracy and increase the measuring time. 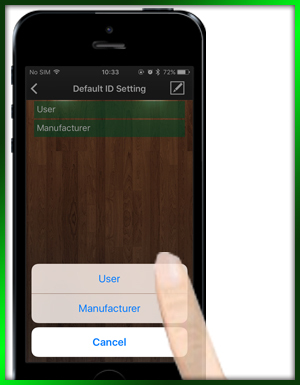 ◆ You can slide your finger to delete device cache. 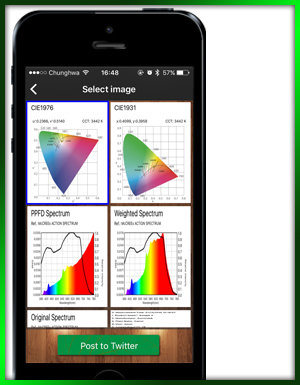 ◆ Single Mode supports user to do the quick test of light source. ◆ You can check your default PAR reference here, and you can also change the default reference before the measurement. 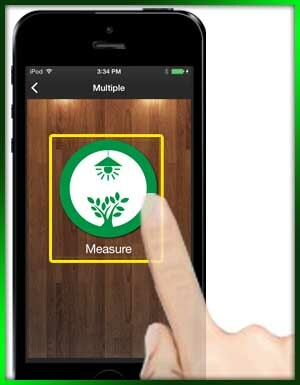 ◆ Tap "Measure" circular button to start your measurement. 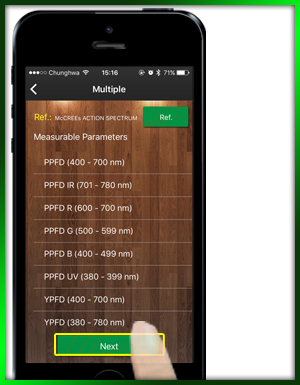 ◆ In measurement result page, you can tap "Ref." 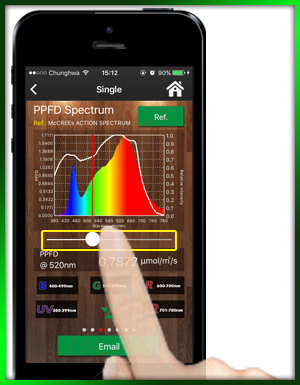 button to select PAR action spectrum, and your select will be a white line and show on the spectrum diagram. ◆ You can also slide to compare PPFD in each wavelength. 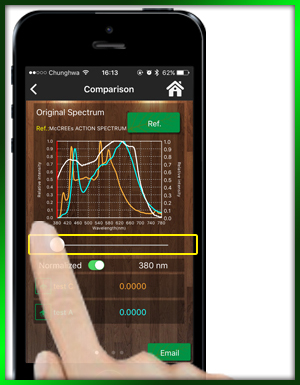 ◆ You can select show on/off the specific wave band spectrum by the five buttons below. ◆ Weighted Spectrum, it is calculated by your select, and YPPFD is also calculated by your select. 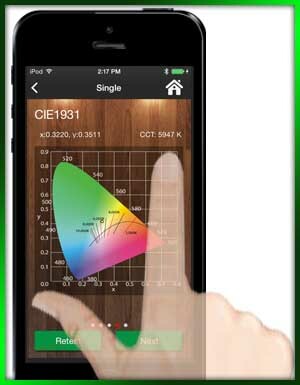 ◆ Detail information of the wave band of visible, IR, Red, Green, Blue, and UV. 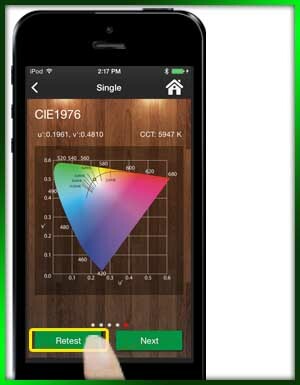 You also can check CCT, CRI, illuminance etc. here. ◆ The coordinates of CIE 1931 and CIE 1976, you can zoom in/ out the CIE diagram. ◆ If you want to measure again, tap "Retest" button. 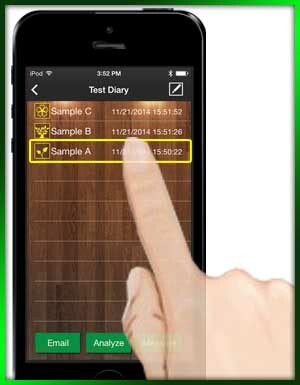 ◆ After the measurement, you can tap "Next" to the save page. 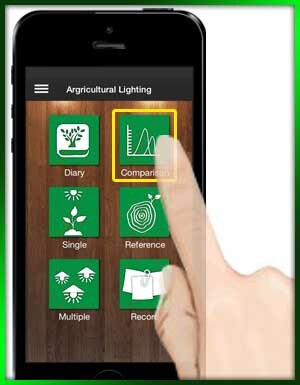 ◆ In the save page, you can take a picture of the light source and the plant, fill in the information of this measurement. ◆ If you just want to share the measurement information, you can tap "Email" button to email it. 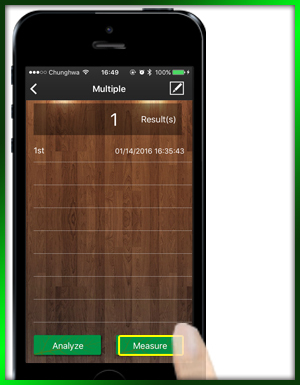 ◆ Multiple Mode allows users to display more than one measurement at a time, allowing the ease of viewing and analyzing multiple measurements at a glance. 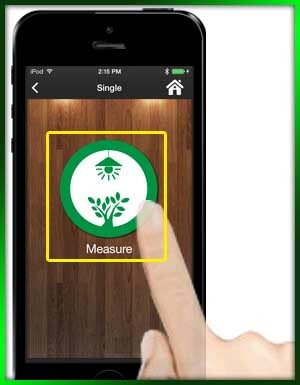 ◆ Tap "Measure" button again to get second and above measurement data. ◆ You can click the measurement data to view its detail information. 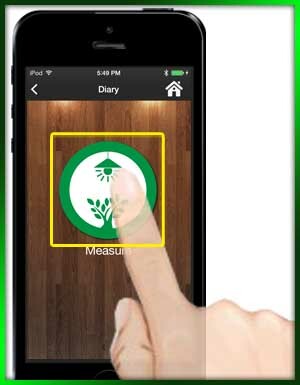 ◆ You can tap "Edit" icon to delete the measurement data. 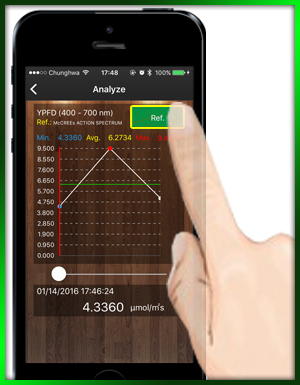 ◆ Tap "Analyze" button to statistics the measurement data. 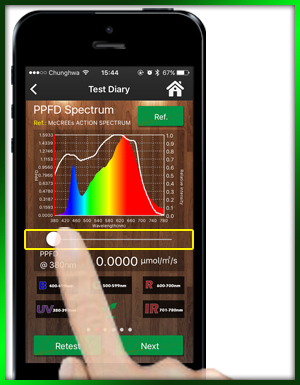 ◆ Tap the parameters you want to check. 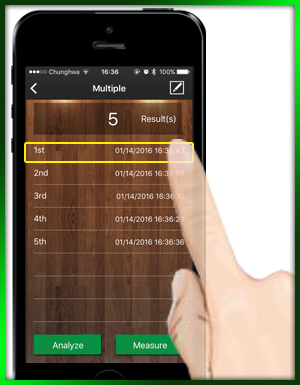 ◆ Then you can get Min., Avg., Max., and the change amount of those measurement data. 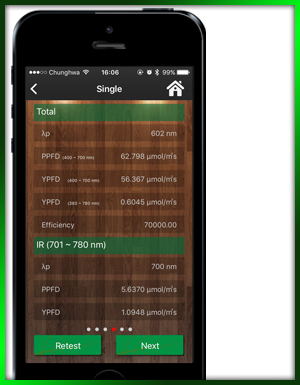 ◆ In the YPPFD parameters, you can still tap "Ref." 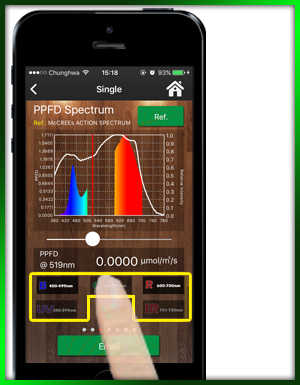 button to select PAR action spectrum. 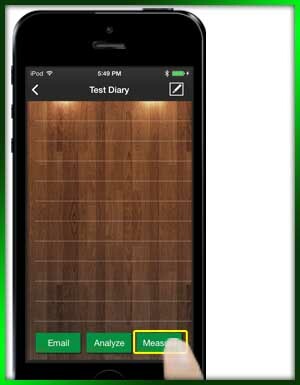 ◆ In analysis page, you can tap "Next" to the save page. ◆ Diary Mode supports user to create a Plant Growth Diary, record and analyze the daily changes of the object. 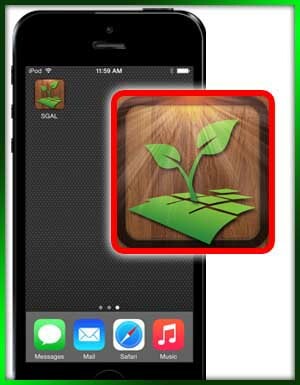 ◆ For the first time, please tap "Add New Diary" button to create your plant growth diary. 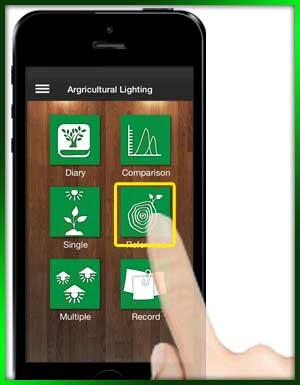 ◆ Tap your plant growth diary, you will see three function button, "Email", "Analyze", and "Measure". 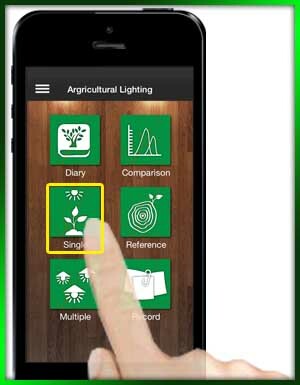 ◆ Tap "Measure" to start your plant growth diary, then click the circular button. ◆ You can tap "Edit" icon to delete multiple measurement data. 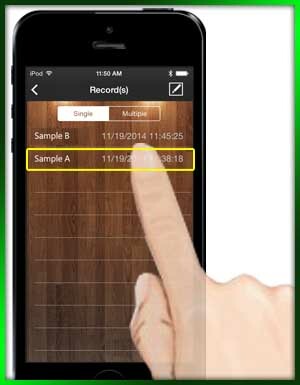 ◆ You can tap the measurement data for viewing, and you can also tap "Copy to Single" button for copying the data to "Single Record". 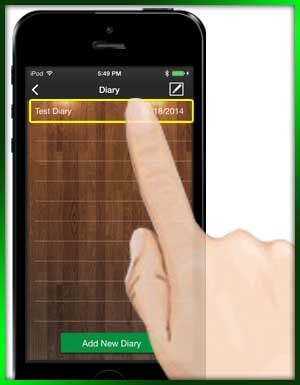 ◆ You can tap "Email" button to email all data of this diary in this page. 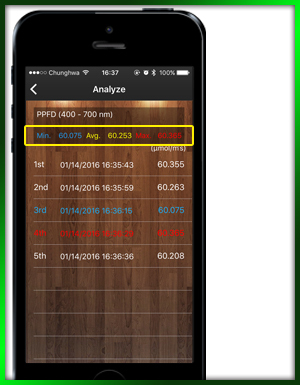 ◆ When you have several measurement data in the diary, you can tap "Analyze" button to statistics your measurement data. 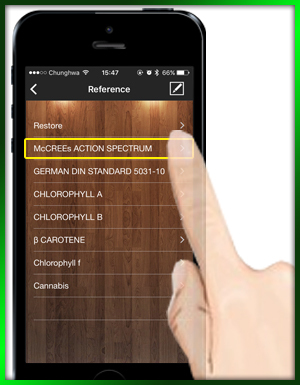 ◆ You can check your default PAR reference here, and you can also change the default reference before analyzing. 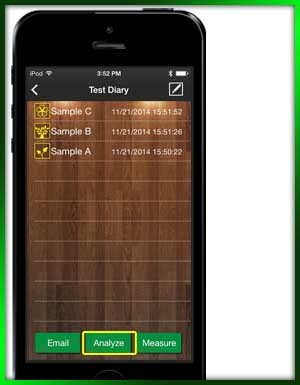 ◆ Then you can get Min., Avg., Max., and the change amount of your diary data. 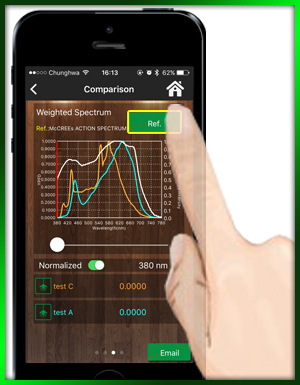 ◆ Comparison Mode can make two "single measurement" reports to compare the Spectrum, Weighted Spectrum, and other parameters. ◆ Select two measurement data and tap "compare" button. 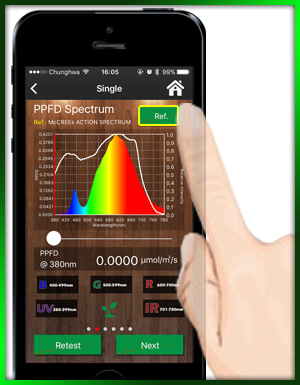 ◆ Users can select normalized spectrum or unnormalized spectrum by the on/off button,and slide to compare PPFD in each wavelength. 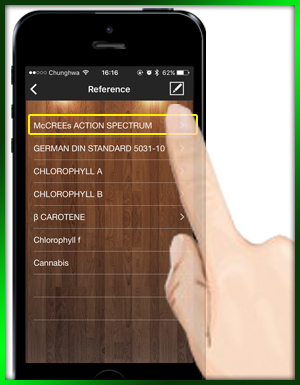 ◆ In Weighted Spectrum page, users can tap "Ref." 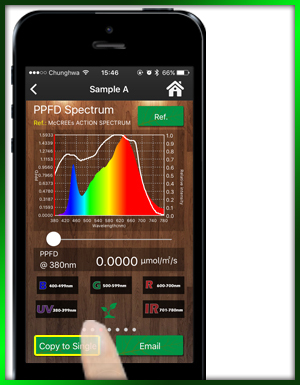 button to select PAR action spectrum, then SGAL will calculate the YPPFD and weighted spectrum. ◆ And check other parameters. 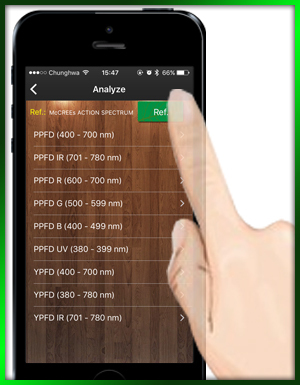 ◆ In Reference, you can view the built-in PAR Action Spectrums and setup the default PAR reference in measurement. 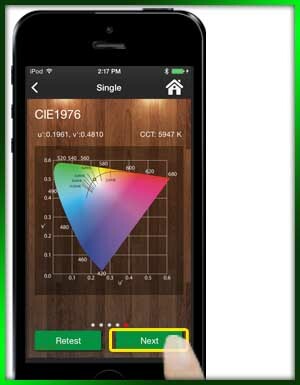 ◆ Tap the built-in PAR Action Spectrums for viewing the information. 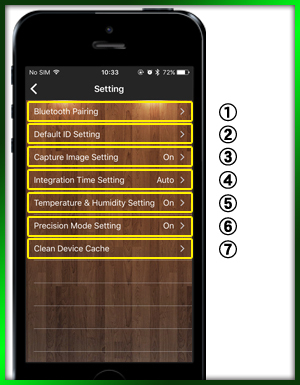 ◆ Tap "Set As Default" for setting the PAR reference. 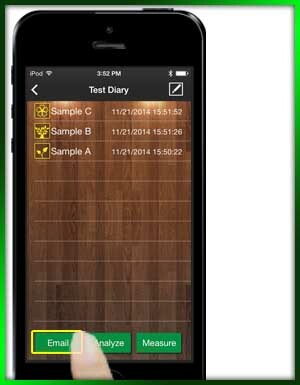 ◆ In Record(s), you can review the saved measurement data and share those data by email. 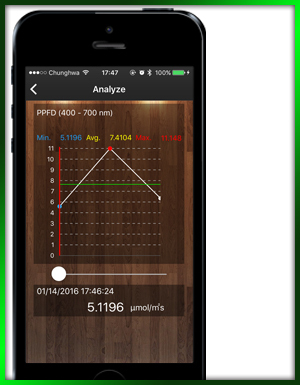 ◆ Tap the saved measurement data you want to view. 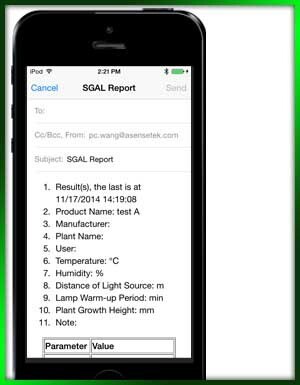 ◆ Tap "Email" button to result to others, and you will see a special attachment ".ast"; with this attachment, people can import your measurement data to their SGAL record folder.